MGMT’s new album Little Dark Age is a well thoughtout album. Each tune manages to stand out from their originality which is impressive. However it does not deliver all the way. Little Dark Age is their return to the spotlight after being away from the public eye for the last four years. The band is an American psychedelic rock band formed in 2002. The music is all over the place at times and can somehow make you exhausted just by listening to it. Their album will be released on Friday February 9, the day after their gig at Kingston College. 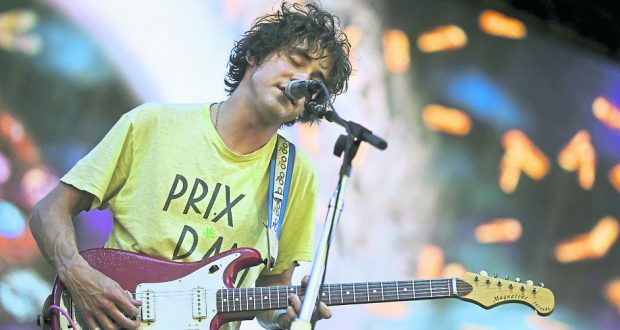 MGMT’s title song, and second track, starts off with the words: “Breathing in the dark, lying on its side, the ruins of the day.” Despite the dark lyrics, the song is very well done. It starts off slow, and then builds itself up. It is worth paying attention to the words, as it is what makes it as clever as it is. The music and the words work perfectly together. It is original, and the sound is different from mainstream music. Although, it is worth pointing out that there is nothing mainstream about MGMT. The first track on the album, She Works Out Too Much, is a letdown as the song kicks off the album by making you want to turn it off. There is too much going on with the melody that it is almost impossible to figure out what to focus on, and the second you figure it out, the music changes again. The track could easily give you a headache, especially if you are not in the right mood and the more you hear it the more annoyed you will get. The vocals in this song are very soothing and relaxing, and the beat is heavily dominated by keyboard and drums. This is a track worth listening to, and even if you are not into psychedelic rock, the lyrics itself makes it all worth it. All the songs heavily rely on keyboard and drums, which is what creates the psychedelic element to the album that the fans love so much. Their new album might not contain an instant classic like the song Kids, but does have a few amazing tunes worth listening to. Even though it might not be everyone’s favourite, the album is well made, sticks to their genre, it is original and has a lot of excellent lyrics.